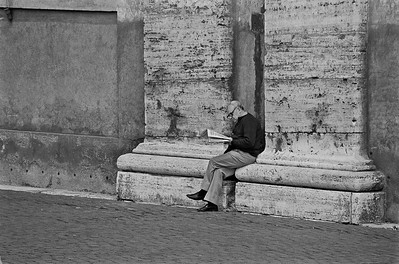 Man reading a newspaper, St. Peter's square, Vatican, 1995, Kodak TX. 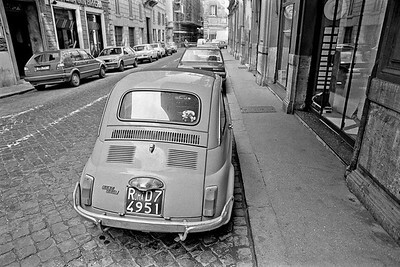 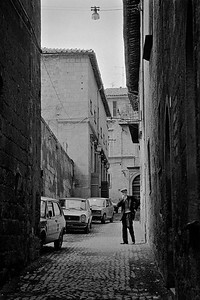 People walking by arches, Rome, Italy, 1985, Kodak TX. 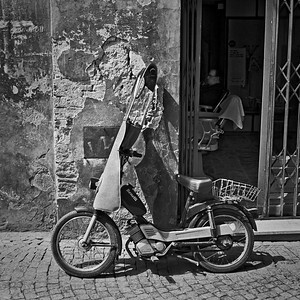 Moped parked outside a barber shop in Orvieto, Italy, 1985, Kodak TX. 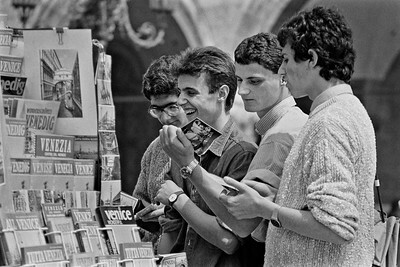 Tourists looking at travel brochures, Venice, Italy, 1985, Kodak TX. 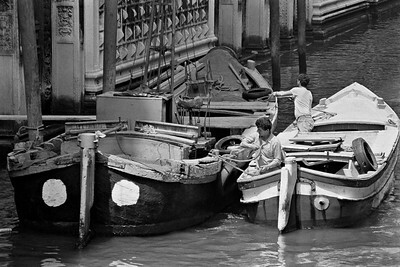 Work boats on a canal in Venice, Italy, 1985, Kodak TX. 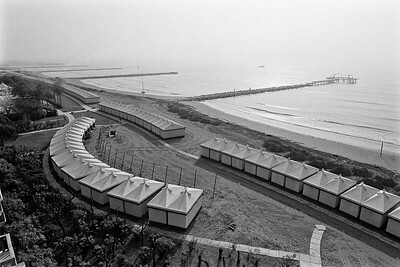 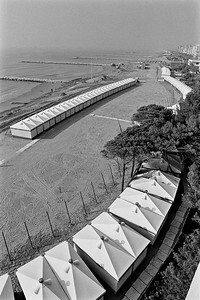 Beach houses on the Lido, Venice, Italy, 1985, Kodak TX. 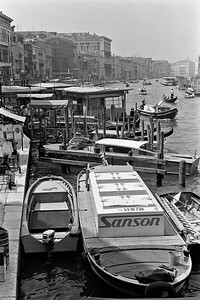 Boats and gondolas on a canal in Venice, Italy, 1985, Kodak TX. 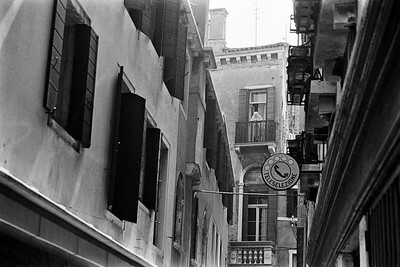 Woman in a doorway overlooking a canal in Venice, Italy, 1985, Kodak TX. 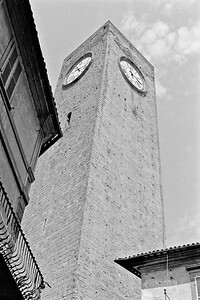 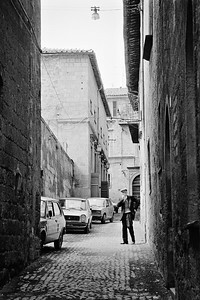 Clock tower in Orvieto, Italy, 1985, Kodak TX. 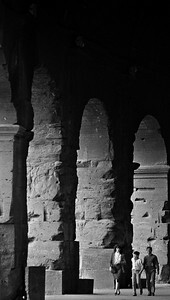 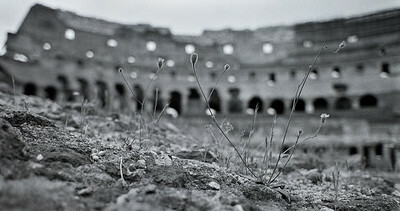 Colosseum wall and arches, Rome, 1985, Kodak TX. 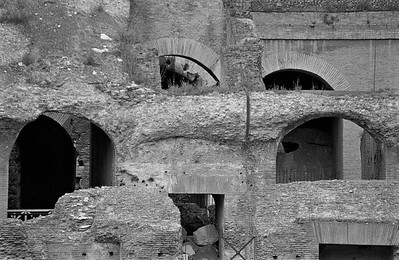 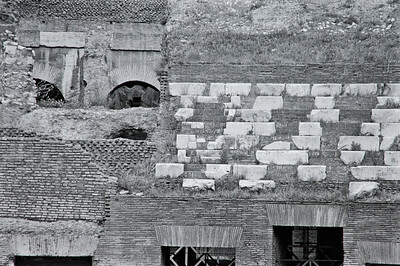 Colosseum wall detail, Rome, 1985, Kodak TX. 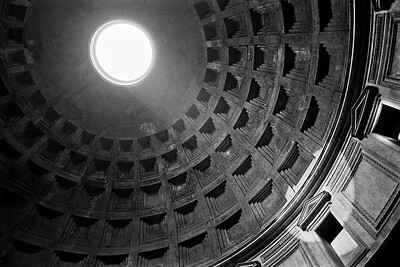 The interior of the Pantheon showing the oculus, Rome, Italy, 1985, Kodak TX. 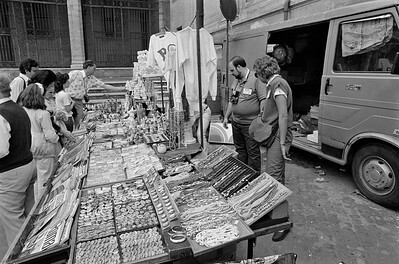 Souvenier vendor in Rome, 1985, Kodak TX. 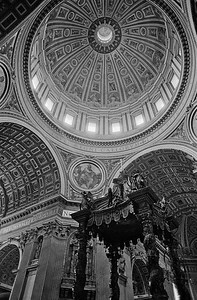 Dome of St. Peter's cathedral interior, Vatican, 1985, Kodak TX. 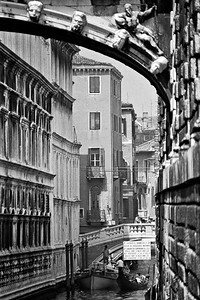 Buildings along a canal in Venice, Italy, 1985, Kodak TX. 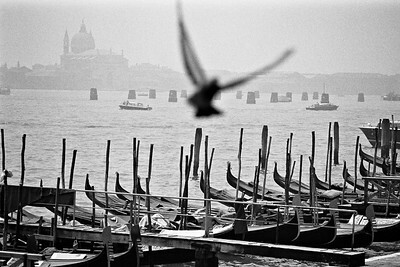 Gondolas and city skyline, Venice, Italy, 1985, Kodak TX.